Naoya Inoue has made an electrifying start to his World Boxing Super Series campaign after landing a brutal knockout on quarterfinal opponent Juan Carlos Payano in the first round of their contest in Tokyo. 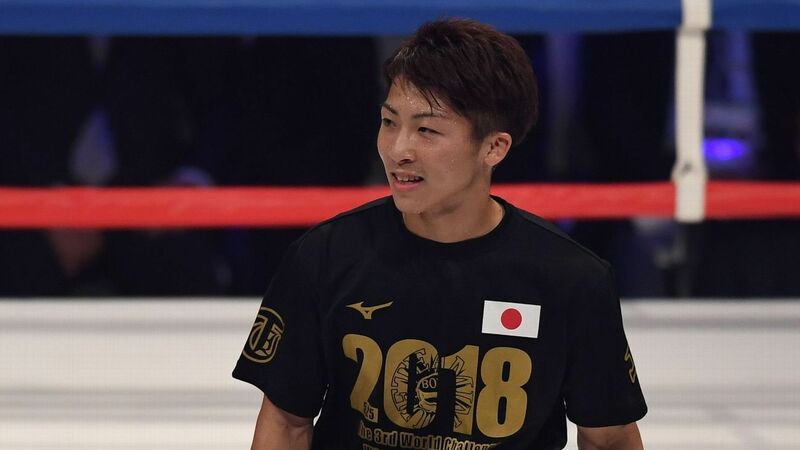 Inoue [17-0, 15 KOs] is the second seed in the inaugural WBSS bantamweight tournament, behind Britain's Ryan Burnett, but in a performance that will have put the rest of the field on notice, Inoue was able to land punch after punch on his Dominican rival before sending him tumbling to the canvas after just 70 seconds with a perfectly timed straight right hand -- leaving referee Pinit Prayadsab with no option but to wave off the contest. Inoue is set to face the winner of IBF titlist Emmanuel Rodriguez's bout with Jason Maloney in the semifinals with the pair going head-to-head in Orlando, Florida on Oct. 20. Inoue has not yet been taken beyond a round in 2018, adding Payano's scalp to his first round knockout of Jamie McDonnell earlier this year. In the co-feature contest, WBA champion Kiryl Relikh booked his spot in the super-lightweight tournament's semifinals with a unanimous decision victory over Eduard Troyanovsky. The Belarusian took the fight 115-113 on all three judges' scorecards.